You know how we usually poke fun at how minor modern car facelifts usually are? 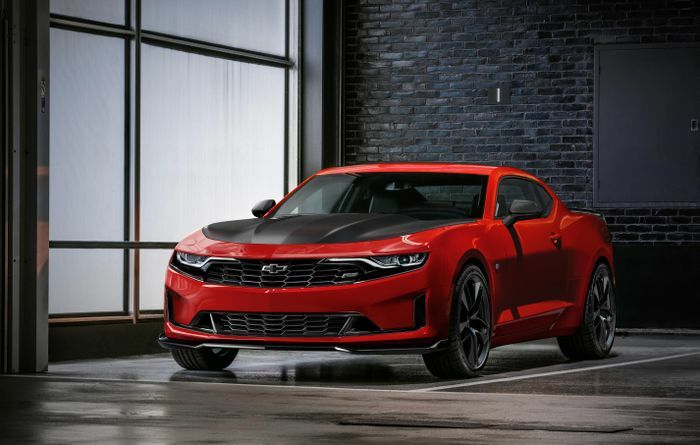 There’ll be none of that happening today - what you’re looking at is the 2019 Chevrolet Camaro, and from the front at least, it looks vastly different to the outgoing model. The changes at the rear - which include a reshaped bumper and new tail lamps - aren’t so obvious, but at the front, it’s all change. There are new lights, a redesigned bonnet and a whole new front fascia, plus there’s now a bigger variation between derivatives. Go for the SS, for instance, and you have this huge front grille barely broken up by what Chevy dubs a “‘floatie’ open bowtie”. We get the feeling it’s going to prove quite a divisive look. Non-SS models do without the ‘floatie’ arrangement, and arguably look all the better for it. And there’s a newbie in the line-up too, in the form of a new 2.0-litre inline-four-powered 1LE (above) - the first-ever turbocharged 1LE model which joins the existing V6 and V8-powered machines. The 271bhp ‘Turbo 1LE’ comes with fatter anti-roll bars, re-tuned dampers, fatter tyres and beefier Brembo brakes, among other track-friendly upgrades. Finally, there’s a liberal dashing of tech enhancements for the range. 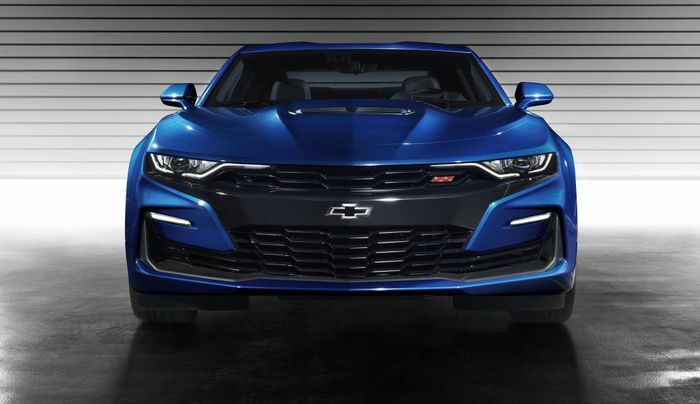 There’s a new standard-fit rear camera mirror for the 2SS and ZL1 offering “a wider, less obstructed field of view,” an upgraded standard version of the reversing camera with a HD camera, a better Performance Data Recorder, and Forward Collision Alert. What do you think of the updated Camaro? 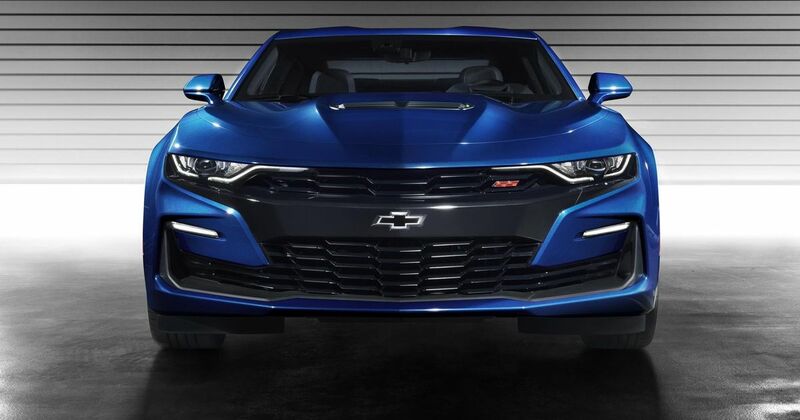 Could you get used to the, erm, dramatic front end of the SS? Let us know in the comments.